A UNESCO Natural World Heritage site, a Project Tiger Reserve, an Elephant Reserve and a Biosphere Reserve, this is one of the beauteous national parks of India. Sprawling over an area of 391 sq km, Manas national park is situated in the Himalayan foothills on Indo-Bhutan borders and provides protection and conservation many highly endangered species like roofed turtle, hispid hare, golden langur, pygmy hog etc. Manas national park shares a exotic world of nature and animals with its visitors. 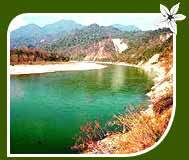 Manas is known for having very beautiful natural surroundings. The largest part of Manas national park is covered with mixed deciduous forests, which are interspersed by small glades of grass. There are small meadows crisscrossed many rivers and streams in the thick forest foothills. The lower reaches of the park has many smooth sandy stretches with clumps of trees. Manas river is main source of draining. The birds have a wide variety of migratory and local birds. Some of the birds which can be watched here are giant hornbills, jungle fowls, bulbuls, brahminy ducks, khaleej pheasants, egrets, pelicans, fishing eagles, serpent eagles, falcons, scarlet minivets, bee-eaters, magpie robins, pied hornbills, gray hornbills, mergansers, harriers, ospreys and herons. Jeep Safari is the fastest way to explore the wildlife in the park. Watching them by using powerful binoculars with night vision facilities at night is an exclusive attraction to your jeep safari. Boating on Manas river is another attractive option to explore the wildlife in the park. Boat ride make you trip around 35 km away from Mathanguri. The most popular and also exciting way is elephant rides. The park authorities arrange you elephant ride from Mathanguri. 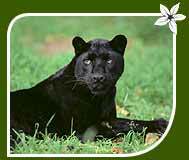 It take you through the dense forest offering the views of rhinos and tigers. Orang and Pabitora are some other wildlife sanctuaries located near the Manas. Visit them for a comprehensive wildlife observation. It is very easy to reach Manas Wildlife Sanctuary. Ideally, the park is located just 176 km away from Guwahati which is the capital and largest city of Assam. Nearest airport is Borjhar Airport which offers reglar flights from all important cities of the countries. It is well connected by NH 31 (22 km) and is accessible by buses, coaches and taxis. Barpeta Road is the nearest railhead and offers plenty of trains to all parts of the country. Guwahati 176 km is the nearest city and capital of the state. It occupies all categories of hotels and restaurants. There are also available some resorts and lodges available in and around the park. All of them offer fine facilities and accommodation.